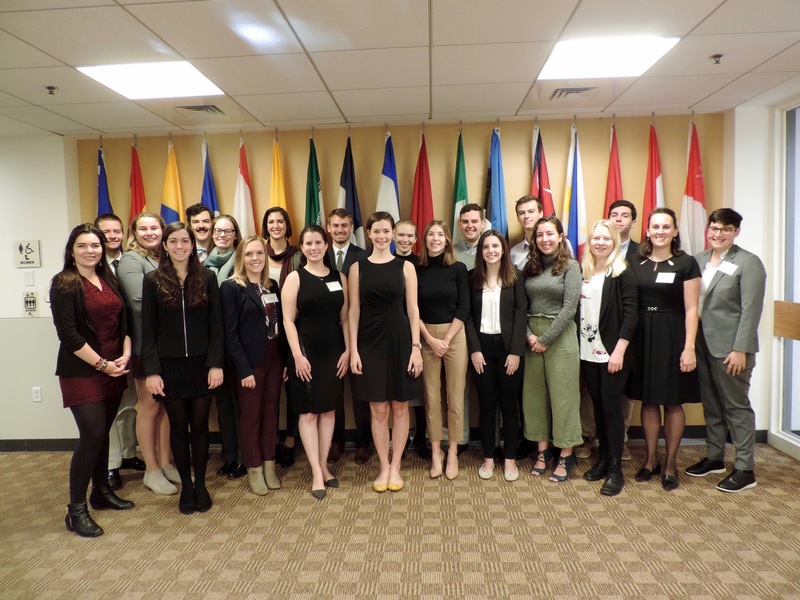 Last month, students from The Fletcher School of Law and Diplomacy, Tufts University, and the Harvard Kennedy and Divinity Schools hosted the fourth annual Religion, Law and Diplomacy Conference. With a mission to broaden the role of religious literacy in international affairs, the conference brought together practitioners and academics for anexciting day of fantastic speakers, thoughtful questions and rich discussion. Drawing on the conference theme, “Challenging Assumptions about Religion in International Affairs,” Fletcher School Dean ad interim Ian Johnstone opened the day emphasizing that religious literacy is asking us to think about religion in ways that go beyond conventional wisdom. These opening speakers described what religion looks like in the world today and the importance of understanding this landscape. The following panel brought together speakers from history and political science backgrounds to discuss the relationship between religion, identity, and nationalism in the United States, India, and Israel. Dr. Nandini Deo (Lehigh University) explored religious pluralism in India with a focus on the Hindu nationalist narrative. Dr. Sara Yael Hirschhorn (Northwestern University) discussed Israel’s transformation from a state of Jews to a Jewish state, in addition to the consequences of the Woman of the Wall movement. Dr. Jocelyne Cesari (Harvard Divinity School) added that nationalism is more than an ideology, but a sum of emotions, memories,and values. The panelists argued that while nationalism allows for one voice to speak, religion allows for many. Dr. Elizabeth Prodromou (The Fletcher School of Law and Diplomacy) moderated the panel. The day continued with a second panel, titled “Climate Finance: Civil Society and ‘Faithful Stewardship’ in Latin America. ”The panel featured Ricardo Simmonds (United States Conference of Catholic Bishops) and Dr. Maria Vidart-Delgado (Union of Concerned Scientists) and was moderated by Dr. Evan Berry (American University). Panelists discussed the significant role that religion plays in individuals’ lives, especially in relation to action regarding climate change. Panelists covered diverse issues ranging from evangelical communities’ beliefs regarding climate change, renewable energy in Latin America, the upcoming Brazilian elections, and Catholic efforts to respond to climate in line with Laudato Si. The panelists emphasized what they see as the success of religious communities in framing important issues like climate change using terms that focus on human lives rather than partisanship to accomplish positive change. The year 2018 marks the 20th anniversary of the International Religious Freedom Act, an important piece of legislation institutionalizing and reaffirming the U.S. government’s international religious freedom policy. To commemorate the anniversary, the conference invited Commissioner Kristina Arriaga de Bucholz (U.S. Commission on International Religious Freedom) and Ambassador David Saperstein (former U.S. Ambassador-at-Large for International Religious Freedom) to reflect on their experiences as U.S. diplomats advocating for religious freedom as a universal human right. Brimming with deeply personal and moving stories, their conversation highlighted the historical and future leadership role of the United States in promoting religious freedom. The final panel of the day was called “From Iraqi Freedom to Inherent Resolve: U.S. Military Operations and Religious Literacy.” Panelists examined the implications of the U.S. military's understanding, or misunderstanding, of religious dynamics in Iraq. Colonel Michael Sullivan (National Defense University), Dr. Ibrahim Kazerooni (Islamic Center of America), and Dr. Nussaibah Younis (European Institute of Peace) provided diverse interdisciplinary perspectives on this topic. It was moderated by Dr. Monica Duffy Toft (The Fletcher School of Law and Diplomacy). Amidst the many threads of violence, religion, and nationality interwoven into this conflict, panelists emphasized the necessity of maintaining humility and empathy towards others. Their message provided an appropriate conclusion for a day full of diverse discourse. Central to the varied, fascinating discussions of the day was the message that religion affects much of our lives and that equipped with religious literacy, we can better understand the ways in which this happens.